The last time I went on a hike with the Sierra Club was about two years ago. 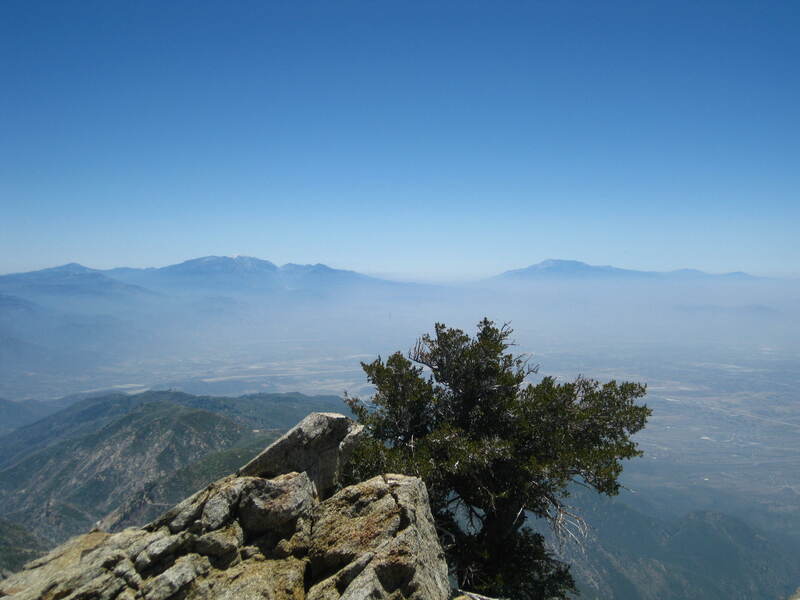 Their hikes never seemed to appeal to me, but a hike to Cucamonga Peak in the San Gabriel Mountains caught my attention. We were originally supposed to tackle San Bernardino Peak, but we were informed that there was still a lot of snow and we would need crampons. So they came up with this second option. I had been to Ice House Canyon before in the snow so this was going to be different. We met at 6:30am in Scripps Ranch and the five of us carpooled to the Mt. Baldy area. Fortunately, one of the hikers’ family lives in Upland so she was kind enough to let us stop at her parent’s house for a pit stop. It was overcast when we left San Diego, but when we got into the mountains the sun was out and we laughed at the clouds hanging above the L.A. area. We met the leader at the packed parking lot at 8:40am and after signing in we hit the trail around 9am. This is a popular area as it is close to L.A. But after three miles or so, after the junction, there is less foot traffic. The weather was great and we had great views of the valley, San Gorgonio and San Jacinto. The bugs were a pain, though. I recommend a bug net. Either that or it’s going to be a short break at the peak. We had lunch at the peak, took the obligatory photos and then headed back down. We did about 13 miles and I would definitely do it again, but most likely during the week when it’s less crowded. If you think San Jacinto can get crowded, you should visit Ice House Canyon. Overall, it was a great day to be in the mountains.